Once your individual design has been completed and you are satisfied with the results, we will begin the process of building you personal outdoor oasis. Greenmark only uses top quality plant material, sound horticultural practices and the latest technologies to offer you the highest quality landscape installation. Our goal is to form a trusting relationship with our clients in order to provide the best possible service as well as offer long-term value for your investment. Our award winning landscapes, installed by our professionals, offer immediate beautification as well as increased value through growth over the years. We will not leave your property until you are completely satisfied with the results. We have many references to backup this statement and would be happy to supply them to you at your request. Landscape installation cost can be structured to fit any budget and phased out over a number of seasons to accomplish a total master plan. Our sister company, PaverStone Construction, will handle all your custom hardscape needs in conjunction with your Greenmark Landscaping installation. 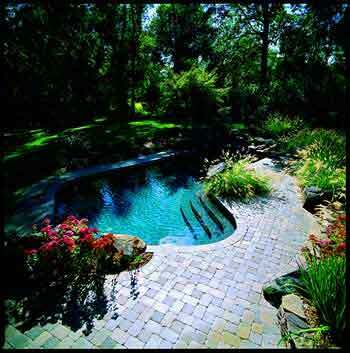 Our minimum landscape installation packages begin at $5,000.00. To insure a professional, healthy and beautiful landscape you can be proud of and enjoy for years, call Greenmark today at 770-804-9900 or 404-CUT-LAWN to set up your initial design consultation, or click here.